Tradition: Using old-world methods requires a lot of respect for the final product. That’s why Siete Leguas cooks their agaves in brick ovens, extracts sugars from the agaves using both a tahona and a roller mill, and distills in small copper pot stills. This is a big win for anyone who wants to experience what authentic tequila is meant to taste like. 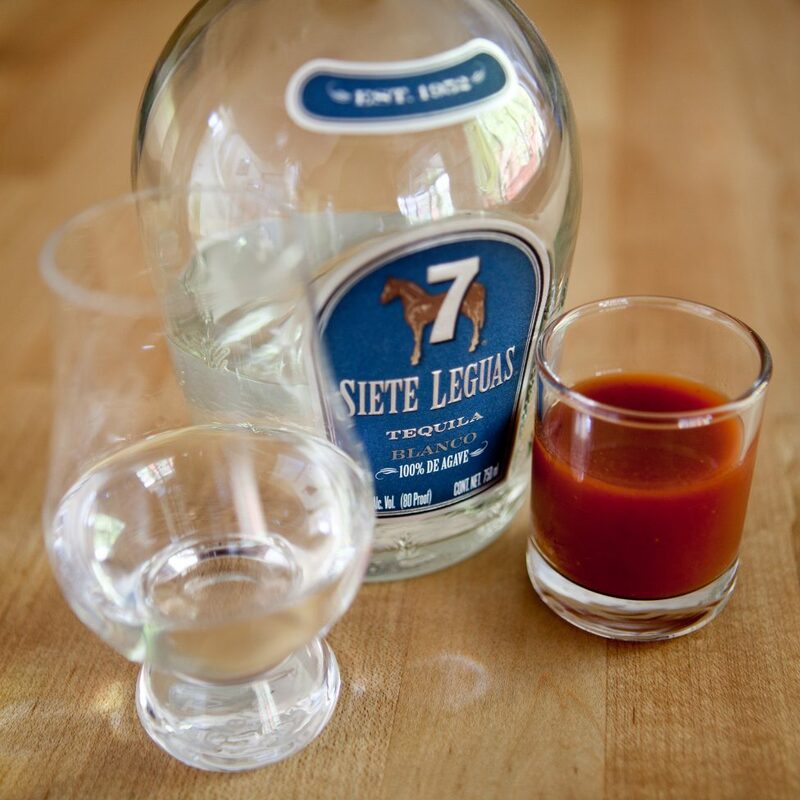 Consistency: We’ve been drinking Siete Leguas products for years, and we have never been disappointed. It is always a pleasant experience. Deliciousness: Siete Leguas Blanco is bursting with aromas and flavors of cooked agave, black pepper, and earth. It has a profile that many people find to be quite vegetal, with hints of citrus and minerals. What’s not to love about that? This is one of those tequilas that deserves to be consumed “neat.” Skip the salt and lime, sip it slow bask in all it has to offer. But this weekend, we’ve decided to spice things up by pairing it with our favorite sangrita recipe. Have you tried this yet? Let us know what you think by rating it with the Tequila Matchmaker mobile app. Luckily, Siete Leguas products are fairly easy to find in the USA. If you can’t find it in a local store, you can get it online at Old Town Tequila for $40. That price is a bargain for what you’re getting. Great choice. Love the whole Siete Leguas line up. Love them all for various reasons, but the Blanco is my favorite for Margaritas. It’s also worth mentioning the D’Antano which is rare and sublime! The 7 leguas Anejo is very solid and well worth the 45.00 price… I prefer it over the 80 dollar Fortaleza. I thought I preferred anejos and reposados, focusing always on the expensive big name brands, as well as expensive cristalinos (i.e., Herradura Ultra and Don Julio 70). But when I first gave this 7 Leguas blanco the attention it deserved, I realized this is the finest tequila I have ever tasted, regardless of price point. My high end bottles I keep for looks, but this one is my go-to tequila for enjoyment. And the price point is fantastic.